Canadian mall owners and developers were already in the process of getting approval for major makeovers - now Sears gives them all the more reason to move fast. Plans to shut down 59 Sears locations is grim news for the chain's landlords across Canada. Could it also spell doom for the nation's neighbourhood malls? Anchor tenants — typically big department stores — have always been a critical component of mall design. And many mall owners still haven't completely recovered from Target's departure two years ago. But the majority of malls were facing a big overhaul even before the severity of the troubles at Sears became clear, according to the commercial real estate firm Colliers International. 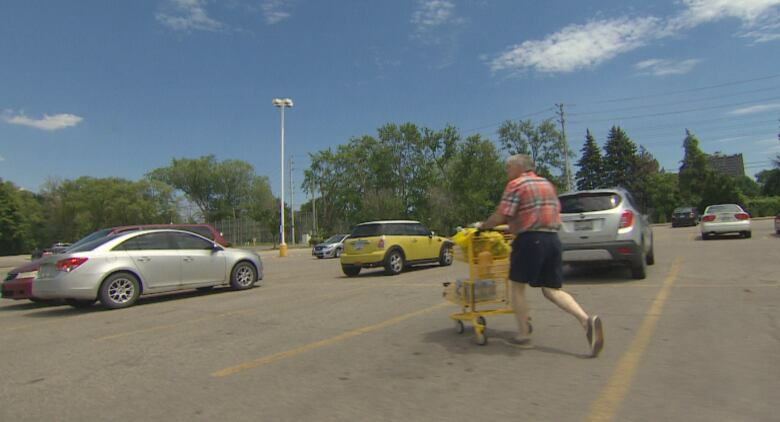 "How many of Canada's suburban shopping malls will undergo a fundamental structural change, on the verge of complete redevelopment, in the next decade?" asks the firm's national retail report released early in June. Its answer? "All of them." 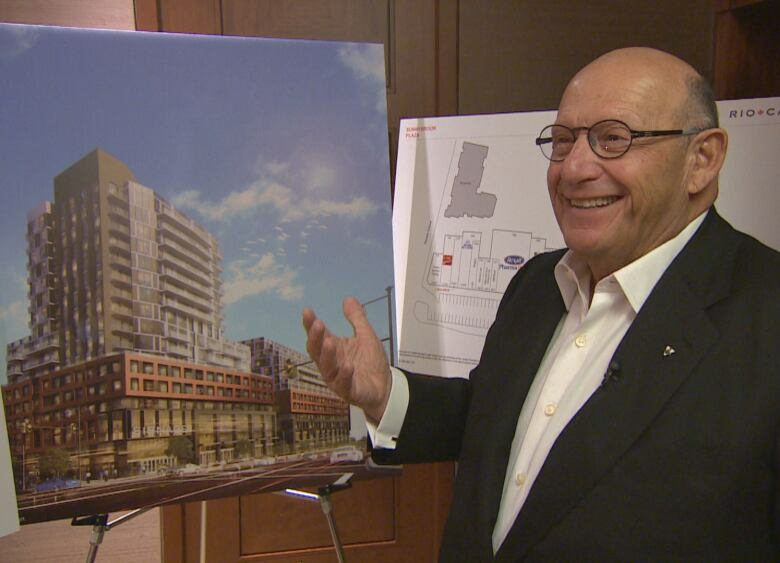 "It's the slow dying of secondary malls," says Ed Sonshine, the CEO of RioCan Real Estate Investment Trust, the country's biggest mall owner, with 300 retail properties. 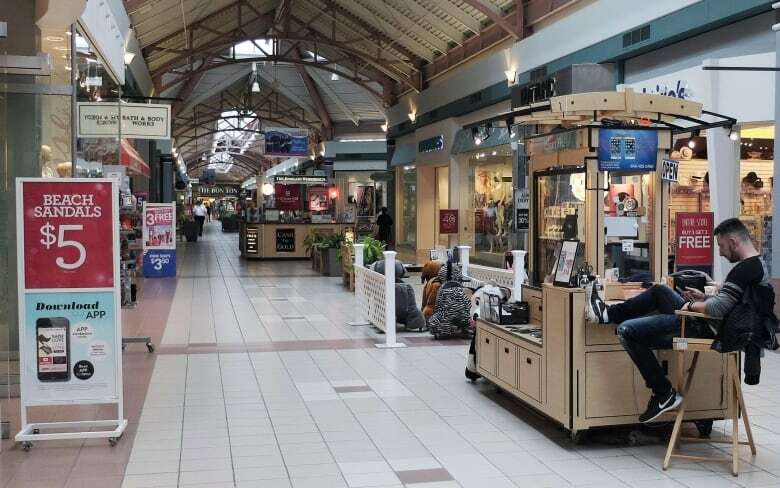 Sonshine believes "primary" malls such as Toronto's Eaton Centre, Calgary's Chinook Centre or Vancouver's Pacific Centre will always thrive, thanks to their size and location. But smaller, suburban malls won't make it unless they reinvent themselves. "The whole theory of a mall was those department stores, those anchors, would entice customers to the mall in the first place," he explains. 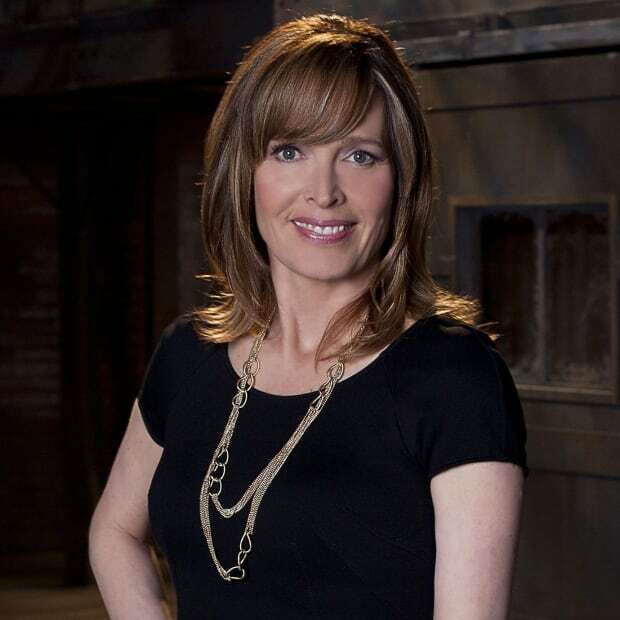 "And then, as customers were going between those two anchors, they would find things to buy at the other stores. The theory started to fail at the same time that department stores started to fail." It isn't just weak retail or the impact of online shopping that's driving the re-invention of neighbourhood malls. It's also strong real estate values and the need for more housing, according to Colliers. Most malls that are already approved for redevelopment include condos. "If you're an owner of a real estate asset, you're always looking to maximize the financial return," says Andrew Evans of Colliers. "To maximize financial return in an urban market, it's really about adding residential density." Evans points out that as cities have grown, malls that were once isolated and remote are now surrounded by mature neighbourhoods. The massive, free parking lots that malls provide could be more profitable as mixed-use developments that also include offices and residences, along with regular retail. "A lot of those projects are right at the application stage and we're going to see a building boom in mixed-use development at these shopping malls over the next five to 10 years," Evans says. Sonshine is enthusiastic about how malls can be re-imagined. 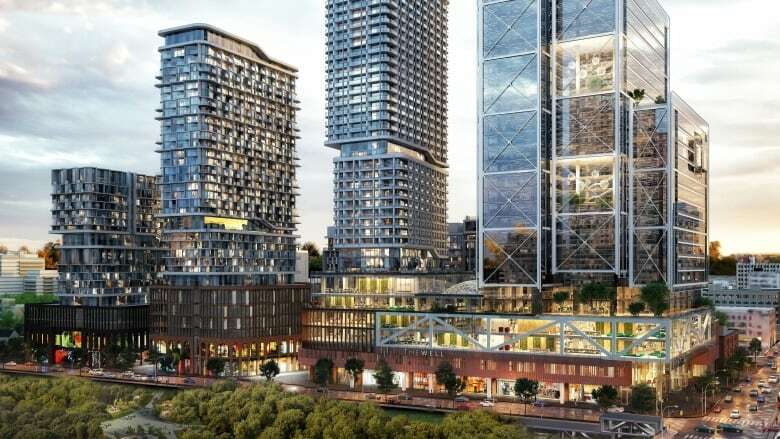 He points to The Well, a new development under construction in downtown Toronto that will feature condos, a movie theatre, a bookstore such as Indigo, "cool" restaurants and more. "There will be some of what I would call conventional retailers, someone like a Sporting Life, for example, but most of it will be what we call 'experiential retail,' which means it's an experience just to go there," he says. Sonshine outlines a plan that includes a food hall that's like a European market with fresh produce, bread and meat along with prepared foods. He describes a scene in which chefs give cooking demonstrations and people rediscover the mall as an exciting destination. Sonshine isn't overly dismayed by the troubles at Sears. Although RioCan was Target's largest landlord, the company only leases one department store to Sears, along with seven Sears Home locations. Sonshine claims the chain's possible failure "won't do much" to RioCan. "They haven't exactly been attracting customers. Their job is to attract customers and for the benefit of attracting customers, they have traditionally paid very, very small rents. So you're not losing a lot of rent, and truthfully these days, you're not losing a lot of customer attraction." Industry observers agree that the proposed closures of Sears stores won't spell the end of malls, because an evolution has already begun. They point out that people have always flocked to marketplaces and always will, but the malls we know now will need to transform into new formats if they intend to survive. So get ready for a lot of construction noise at your local mall in the coming years, as developers look with fresh eyes at decades-old structures — and likely conclude that only a total makeover will keep shoppers coming back. Sears Canada's future is in doubt. How did it come to this?